Flat window glass with beveled edge(?). Prominent striations on one side from production. 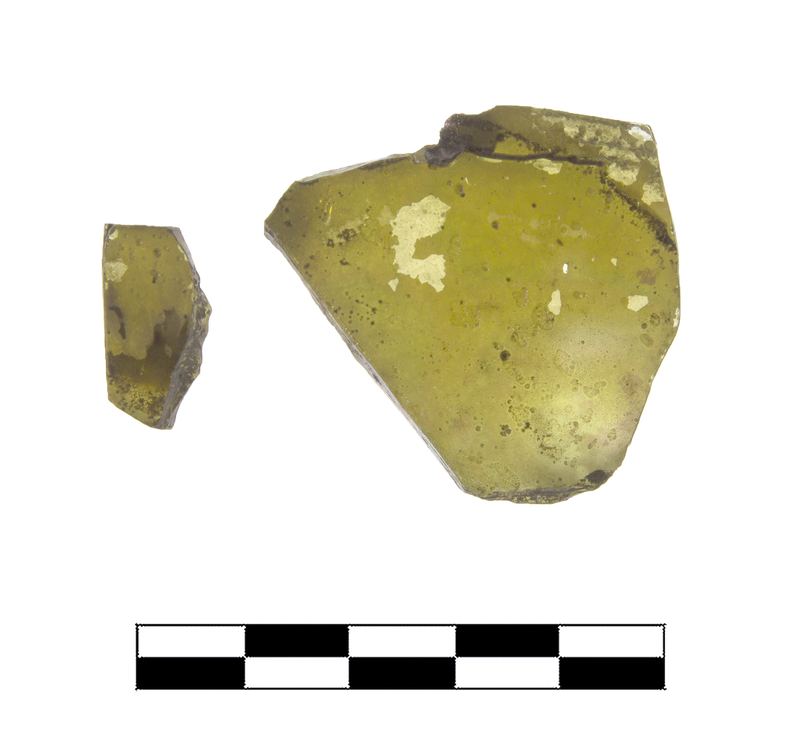 Light greenish yellow (PMS 459/460C), semiopaque. Sparse pinprick and rare, elongated bubbles sometimes in alignment. Two nonjoining fragments (a/b). Moderate, extensive iridescence and pitting; feather cracking and black enamel flaking especially around edges; somewhat thick patches of encrustation.